Award winning flagship 5.1 speaker package combining 3050i and 3010i speakers, 3060 subwoofer and 3090i centre. Incredible performance in a choice of colours. 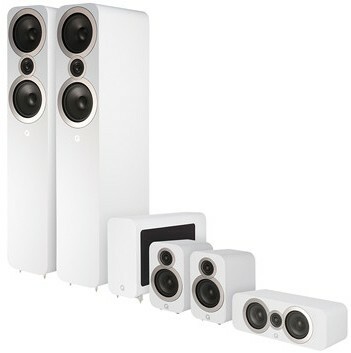 This 5.1 package combines a pair of Q 3050i floor-standing speakers, a pair of Q 3010i bookshelf speakers with the Q 3060 Subwoofer and Q 3090i Centre speaker to delivering incredible cinema sound. 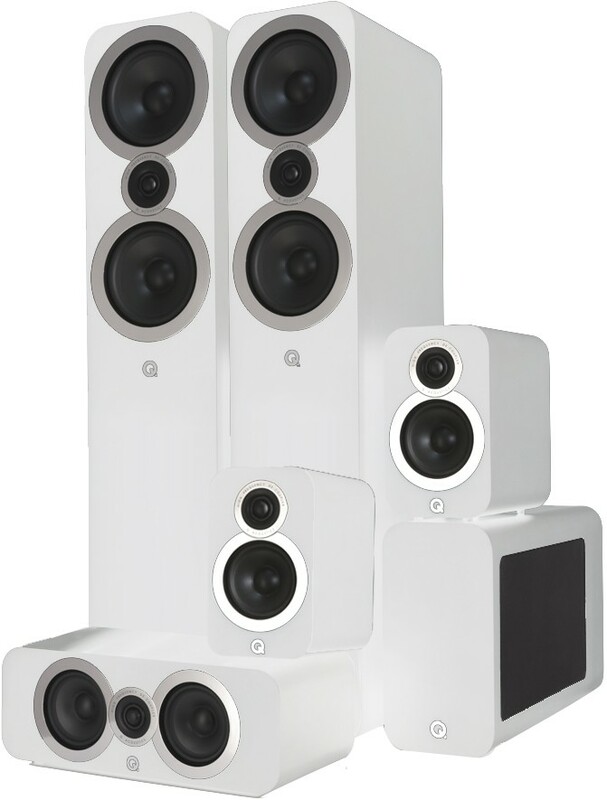 Ideal for larger rooms and if a main set of floorstanding speakers are preferred for listening in stereo as well. Striking floor-standing speakers with twin 165mm and 22mm precision drivers, supplied with rubber feet or spikes and rear outrigger plinths for extra stability. The internal structure incorporates what QA have learnt about minimising organ piping using Helmholtz Pressure Equalisation (HPE). A room-filling bookshelf / stand mount speaker with 100mm and 22mm precision drivers, with pre-fitted rubber feet. Focusing on power-to-size ratio, the crossover has been revised to take advantage of a larger cabinet volume to enhance sensitivity and bass extension. A slimline active subwoofer with a 200mm driver and a powerful 150W amplifier. All of the controls and connections are hidden behind a magnetic hatch with a down-facing port for discrete cable runs. It is one of the slimmest subwoofers available but still delivers every nuance of an acoustic double bass or rumble of a cinematic explosion. An accurate centre speaker with twin 100mm and 22mm precision drivers. This is the heart of this cinema system and works hard to perfect crisp, clear and balanced dialogue. Sharing the width of most amplifiers and AV receivers, this fits neatly into the specialist furniture designed to house them. For more info on the floor stand speakers, visit our main 3050i page. 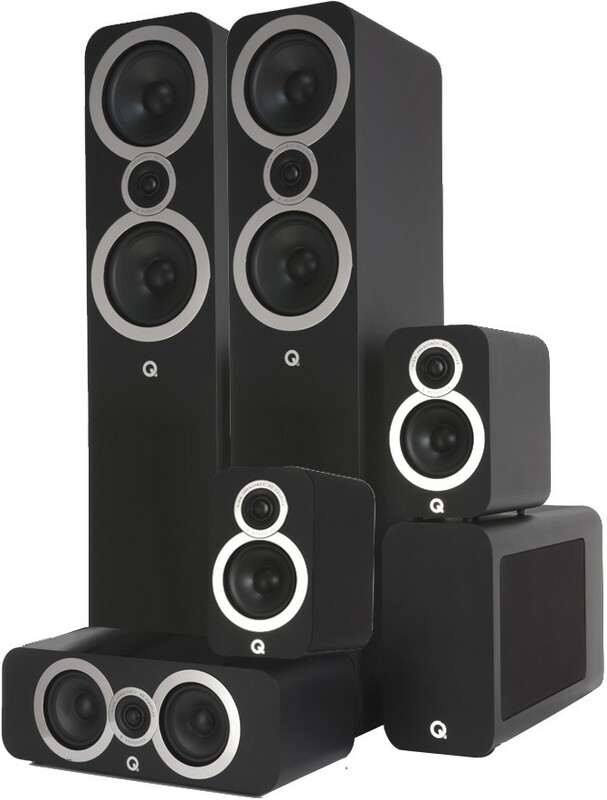 For more info on the bookshelf speakers, visit our main 3010i page. For more info on the active subwoofer, visit our main 3060s page. For more info on the centre speaker, visit our main 3090Ci page.